Friday, June 16 – 7:00 p.m. – 13:00 a.m.
Saturday, June 17 – 11 a.m. – 13:00 a.m.
Sunday, June 18 – 11:00 a.m. – 10:00 p.m.
We explored the tastes and sounds of Italy right in the middle of Toronto as College Street transformed into a classic Italian piazza for the Father’s Day Weekend. This year, attending the event landed you a round trip for two to Italy. 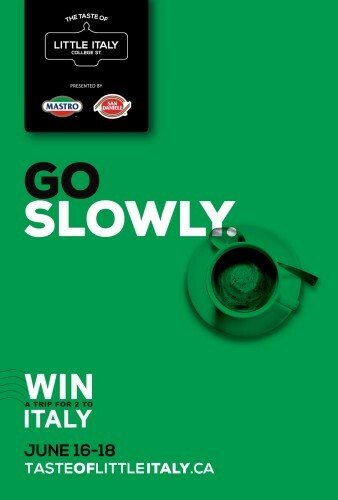 Visit TasteofLittleItaly.ca and register your email to find out how to win.